Personality: Yoruko comes off as a charming young man with a feminine side to himself, but it does not stop him from being a very well-liked gentlemen with the ladies. He is seen as continuously trying to win a woman's heart, even if only for a second. He is very obedient to the Order, and chooses to only have several close friends, rather than a wide variety of friends who he hardly knows. When in combat, he can be rather sadistic, talking about what he plans to do to them. It often gets out of hand, because the more he talks about it, the more violent his attacks are. 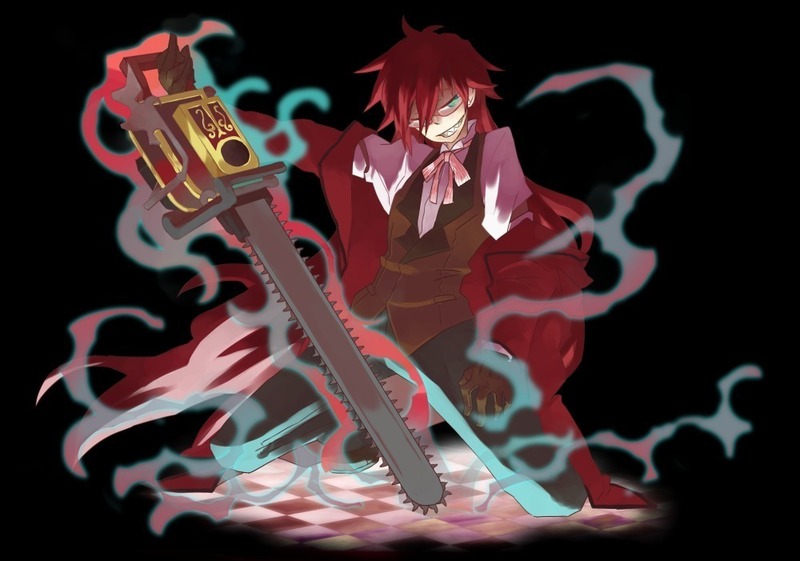 Weapon Abilities: Rather than separate abilities, there is only one main attack that the chainsaw has. Innocence rotates on the chains to cut at whatever it's victim is and with every level upgraded, the more violent and stronger it is. History: Rimus was born in Singapore, within a village that was destroyed upon him leaving to The Order. He was born to his mother, Sakuya, and his father Mifune. 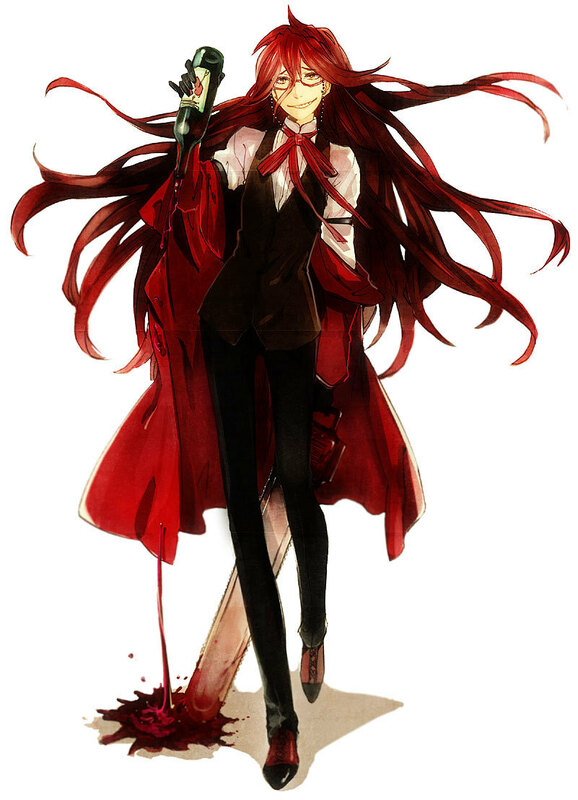 He had several siblings, one sister and two brothers, named Himeko, Kaiko, and Sanko. He was considered "non-existant" to the other villagers, because his parents were afraid to let him wander in public, due to his abnormal red hair. His family was originally from Japan and they had moved before he was born into Singapore. He was the youngest of their four children, and the only one born without black hair. When Sakuya and Mifune had moved to the village they lived in now, they had learned all of the customs of the village before they had began having children. They had gotten married there and planned to hopefully live their full lives there. 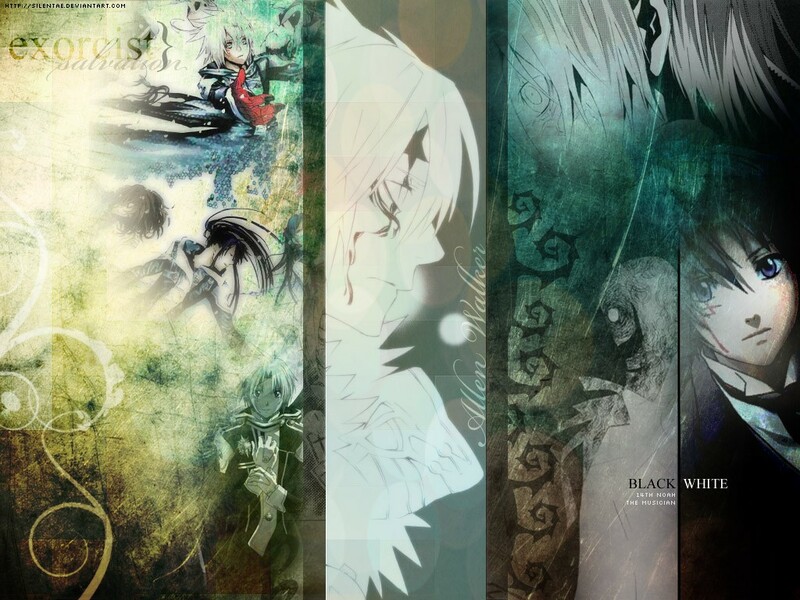 Kaiko was born first, Himeko second, Sanko third, and of course Yoruko was fourth. When Yoruko was born, Sakuya was in tears, because she felt torn apart from her child. She loved him for being so beautiful, but also hated that he had red hair. Her and Mifune had decided to not let him wander in public because a tradition of Singapore was to sacrifice male children of red hair, because it was a "curse" sent from the underworld Goddess. When Yoruko was finally old enough to start walking and talking, they knew there was no avoiding the public afterward. They decided to do all that they could and dressed him in female clothing. They pretended that he was a girl so that he would be safe. Yoruko was aware of why they did this, and never complained once, especially since he loved his mother very much. When Yoruko had turned nine, a group of tall men in black and red uniforms came in and were holding weapons that looked strange to him. The men exclaimed that there was a child here who was compatible with the innocence in one of them, and they were going to find out who. When the men finally came to his home, they passed him the chainsaw first, and immediately, a light shot out and it began to activate itself vigorously. The men then knew that it was he who was compatible. They explained to his parents that he would have to come with them, and they understood, knowing great things would lie ahead for him. Unfortunately, Yoruko saw it as though he was being held captive and taken to prison. He wanted to stay with his parents and siblings and fought his entire way to the Order in China. Soon after, without his or the Order's knowledge, the entire village was destroyed by a neighboring village, and there were no survivors. When Yoruko was brought to the Order, he refused to cooperate, screaming and crying for his life to end. He didn't want to be there, and he was starting to become violent. They had no choice, but to tie him back and hold him in quarantine until he finally subsided. Three years later, when Yoruko was 12, he finally said he was willing to work with them. He worked with his weapon and tried his best to prove his abilities. He knew now that this would be the only family he has. With years of training, he ended up becoming a level three at 19. Roleplay Sample: Rimus had walked through the halls, making sure that no one had followed. If anyone had seen him, he'd be dead. He promised his master that no one would be around, and that he'd bring what he promised in time. As he walked through the solitude darkness, he could hear the echo of water dripping from the pipes, ringing throughout the tunnels, making the back of his neck shiver down to his spine. He licked his lips in anticipation and apprehension, hoping that he'd reach his destination soon. While walking, he heard the sound of a slam only a few halls back. He immediately stopped himself and moved against the wall, trying to make himself seem as thin as possible. The last thing he wanted was for someone to find him. As he waited in his unwanted moments of invasion, he tried to hear where the footsteps were going. Slowly they came closer and closer, and with every step, more light was leaving Rimus's eyes. He was terrified of what would happen... he was going to be killed, wasn't he? He only hoped it was either his master, or that the person would get lost in the labyrinth of tunnels on the way. If it was a guard or even a stranger, his cover was blown, and he'd be killed in no time. He decided it was best to continue walking. Rather than waiting for the silence, he immediately bolted off from the wall and began running in intense speed to avoid the stranger within the tunnels. Thankfully due to the stealth lessons he had taken, he was able to get away in silence without making even a tap of his toe. As he saw the door in sight, his smile grew slightly in relief as he ran faster... he was so close! He had to make it. The light of the creases on the door were growing larger with every step he took, and his arms flew out with excitement to push through the door. As he made his way, he immediately pushed on the handle, running through as red lights and a sound alarm blew off in the tunnels he was in. He then ran up the stairs to the chambers within the castle he had just intruded, and was on his way to victory.